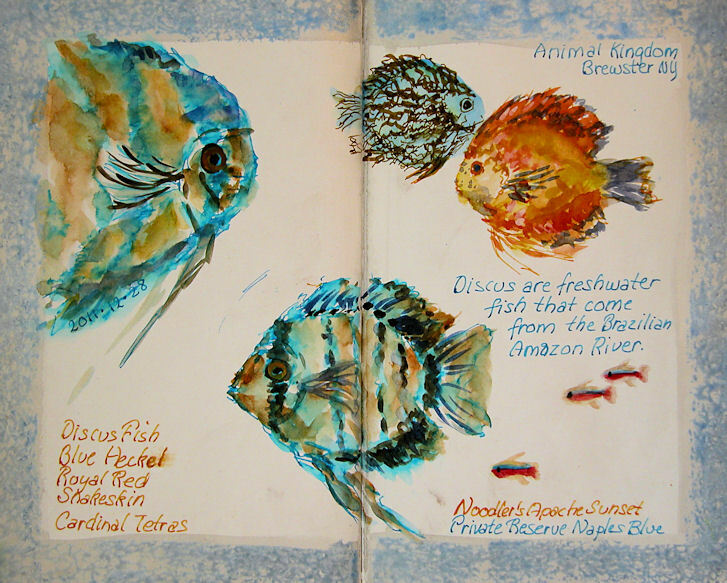 Wonderful colors in the fish and the birds. I had to laugh at the macaw following you around. That was a good idea for a place to sketch! Joan, Elva and Kate, thank you all so much!